Regional Radiology is Staten Island's most comprehensive freestanding outpatient imaging center. 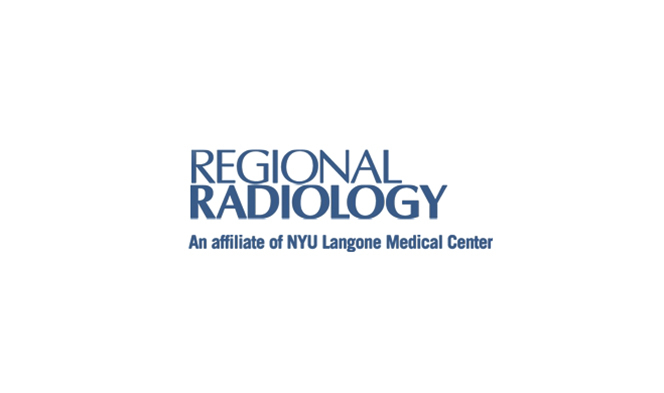 Regional Radiology has been providing imaging services to Staten Islanders since 1989. We are an ACR-accredited facility with accreditation in all imaging modalities, including CT, MRI, PET/CT, mammography, stereotactic breast biopsy, nuclear cardiology and ultrasound. Our three convenient locations offer evening and weekend appointments, and we provide radiology services at RUMC (Richmond University Medical Center). We participate in all major insurance plans and HMOs. Patients can call one number 718.605.6500 to schedule an appointment at any of our three locations. The wide range of services available are provided by board-certified and board-qualified radiologists with advanced subspecialty fellowship training in their areas of expertise. Our New York State-licensed technical staff have advanced certification in their specialties. We utilize only non-ionic contrast (the safest contrast on the market) for all contrast-enhanced CT scans and IVPs. We also provide a team of I.V.-certified nurses with critical care experience to monitor all contrast studies. Our screening exams use the latest state-of-the-art technology to provide fast results and proper treatment. Our administrative and support staff are available to help you and your family through the process. Please contact us with any questions or concerns you may have.